The Marble City pips Cavan and Killarney to be named Ireland’s cleanest by Irish Business Against Litter. All areas surveyed in Kilkenny (pictured) received the highest possible grade. KILKENNY HAS BEEN named Ireland’s most litter-free town for 2012, finishing at the top of the Irish Business Against Litter annual survey. The Marble City beat Cavan and Killarney to win the title, which had last year been awarded to Trim in Co Meath. Kilkenny has been designated as ‘litter-free’ for the past four years, but today marked the first time that the city had won the prize outright. It was one of 22 towns which had been designated as ‘cleaner than European norms’ in today’s IBAL Litter League standings, which had been compiled following nationwide inspections across 2012. Of the 42 locations surveyed, only Dublin’s north inner city was declared a litter blackspot, while six other towns – Dublin city, Cork city, Limerick city, Dundalk, Maynooth and Carlow – were found to be ‘moderately littered’. IBAL’s Dr Tom Cavanagh said the figures produced each year were welcome news, and akin to the now-annual news on the reduction in road deaths. “We might have viewed ourselves traditionally as a less than tidy nation, but the results tell a different story,” he said. An Taisce, which conducts the litter surveys for the competition, said all sites surveyed in Kilkenny had secured the top litter grade. “The footpath and road surface along High Street have been very attractively paved and The Parade looked fantastic – a wide open sweep, flanked by trees to one side and terraced buildings to the other,” it said. 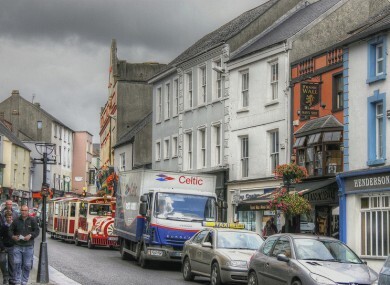 Email “Kilkenny named Ireland's cleanest town for 2012”. Feedback on “Kilkenny named Ireland's cleanest town for 2012”.